In June 1893, Paddy Hannan, Thomas Flanagan and Dan Shea found close to 100 ounces of alluvial gold near Mt Charlotte, a short distance from what is now the City of Kalgoorlie-Boulder. This find sparked the Western Australian gold rush and unearthed one of the richest goldfields in the world, the famous Golden Mile. By 1903 the Golden Mile was home to 49 operating mines, 88 roasters, 100 headframes and more than 3,500 kilometres of underground development. For nearly 100 years, small, individual operations worked and controlled the Golden Mile. In the 1980’s, Western Australian businessman, Alan Bond began purchasing the individual leases in a bid to gain control of the area and create one giant mine. Bond’s company was unable to complete the takeover. However, in 1989 the dream was realised when Kalgoorlie Consolidated Gold Mines Pty Ltd (KCGM) was created to manage and operate the mines, which were now the assets of joint venture partners, Normandy Australia and Homestake Gold of Australia Limited. Almost immediately, work began joining together the existing mines to create the Fimiston Open Pit. This pit was initially nicknamed the Big Pit and is now known across the world as the Super Pit. During this time, all underground operations were phased out except Mt Charlotte. KCGM’s Mt Charlotte Underground Mine continues to be a strong gold producer, currently extracting approximately 750,000 tonnes of ore, yielding around 54,000 ounces, or 1.6 tonnes of gold per year. At the same time, the Fimiston and the Gidji Processing Plants were constructed. These sites treat more than 12 million tonnes of ore per year, producing up to 800,000 ounces of gold annually. The Gidji processing plant uses ultra fine grinding technology to process the concentrate. In December 2001, Canadian company Barrick Gold Corporation merged with Homestake. A few months later, in February 2002, Normandy merged with Newmont Mining Corporation. Today, Barrick and Newmont are equal joint owners of the Golden Mile’s mining leases and KCGM, the company which manages them. In March 2014, just in time for the 25th anniversary of its formation, KCGM poured its 16 millionth ounce of gold from the Golden Mile. During these 25 years, KCGM has produced in the region of 800,000 ounces per year, nearly 23 tonnes of gold, from a gold reserve of 8.8 million ounces. The ore yields an average of 2 grams of gold per tonne. KCGM’s operations account for approximately eight percent of Australia’s gold output and for a long time, KCGM was Australia’s biggest gold producer. This status was only relinquished to Newmont’s Boddington Gold Mine in the final quarter of 2012. Since its discovery, the Golden Mile has produced more than 58 million ounces of gold, the fifth largest gold producing region in the world. Today, KCGM’s operations directly contribute to Australia being the second largest gold producer in the world, with China being the largest. At 3.5 kilometres long, 1.5 kilometres wide and more than 600 metres deep, the depth of the Fimiston Open Pit is equivalent to the length of 6 soccer fields and can be seen from space! This awesome site, together with the historical legacy of the area, draws thousands of tourists to the Goldfields each year. Conscious of the popularity of the Super Pit as an attraction, KCGM has made this accessible to the public with a public Lookout and tours of site. The opportunity to view a working mine site in action and the chance of watching a blast keep the KCGM Super Pit Lookout firmly on the local must do list. The first Super Pit Lookout was a fenced area with a small viewing platform constructed 100m south of the original Hainault Tourist Mine, near the Boulder Block. Over the years the Lookout has been moved to accommodate the changing pit and is now at the top of Outram Street in Boulder (off the Goldfields Highway, 6.4km south of Hannan Street). The Super Pit Lookout is open 7am to 7pm daily. For information on blasting times, contact the KCGM Public Interaction Line on 9022 1100. For more information about tours of KCGM’s Fimiston Operations, visit their website. KCGMs current Life of Mine Plan sees mining in the Fimiston Open Pit scheduled to end in 2019, and at Mt Charlotte Underground Mine in 2018, with processing of low grade stockpiles to continue to 2029. At it’s final dimensions, the Fimiston Open Pit will reach a depth of around 700 metres. While KCGM continues to examine potential ways to extend the life of the mine, Life of Mine plans are always dependent on economic conditions and viability, based on extraction costs and the price of gold. 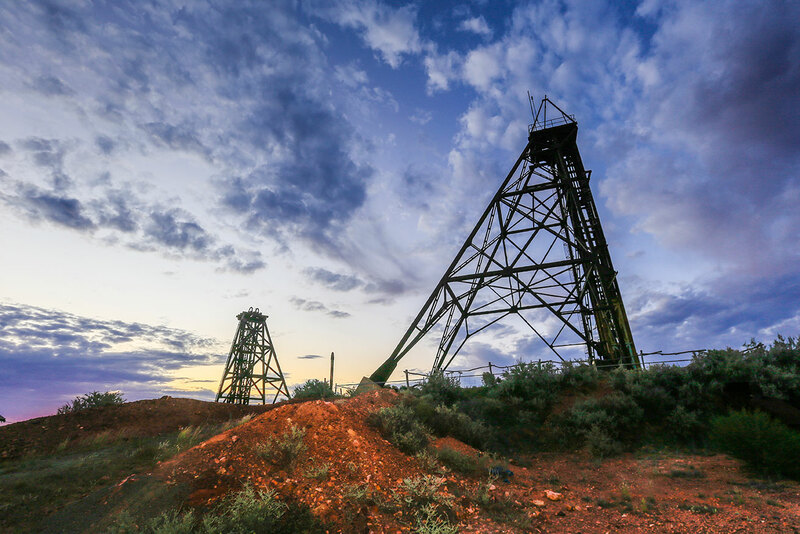 The history of the mineshaft at Hannans North and its evolution into a tourist mine began in the early days of Kalgoorlie’s gold rush and continues today. In 1972, an enthusiastic group of locals decided to open the Hainault mine to visitors. The recently closed Hainault shaft was identified as ideal for showcasing underground mining on Kalgoorlie’s famous Golden Mile. The Hainault shaft was originally pegged in 1893 and was a working mine until 1968. For nearly twenty years, in one of the most successful mines on the Eastern Goldfields, retired Kalgoorlie miners conducted underground tours and rock drilling demonstrations to over 750,000 visitors. In 1991 the area where the Hainault mine was situated was incorporated into Kalgoorlie’s famous Super Pit. 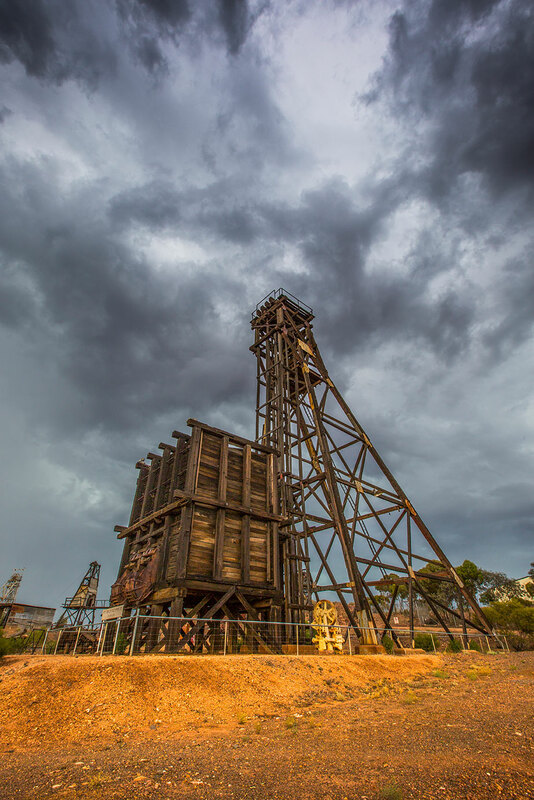 In recognition of the importance of showcasing mining to people visiting the area, the leaseholders, Kalgoorlie Consolidated Gold Mines (KCGM) decided to establish a new visitor attraction in the Eastern Goldfields region. In the quest to find a new site, five shafts were examined. A down-hole camera was used to probe the tunnels and workings of the shafts. Of the five shafts examined, Hannans North was in the best condition, taking into consideration that it had been dormant for many years. Given its short distance from Kalgoorlie-Boulder and its historical importance, Hannans North was chosen as the site for the new facility. Displays from the Hainault mine, historical equipment and records relating to the area’s mining activities were collected and assembled at the new site, which is now known as Hannans North Tourist Mine. The Hannans North Tourist Mine site is historically important as it was one of the first mines in the Kalgoorlie area. DL Doolette first made the application for the lease at Hannans North in 1893; only five months after Paddy Hannan, Tom Flanagan and Dan Shea discovered gold at Kalgoorlie. Gold was extracted from this site using the original shaft between 1934 and 1952. The Great Boulder Propriety Gold Mine Ltd held the lease until 1934. In 1935 the Broken Hill Propriety Company Ltd acquired the lease and worked the mine from 1935 to 1952. From 1952 to 1991 the mine was worked on an occasional basis by tributors; groups of independent miners who are granted permission to work company owned mines, with payment based on the value of the ore extracted. In 1991 KCGM acquired the lease for the purpose of opening the site to visitors. Hannans North Tourist Mine was owned and operated from 1991 until 2011 by the Australian Prospectors and Miners Hall of Fame (MHoF). In 2012, with this valuable community asset laying dormant, KCGM once again became caretakers of the site. KCGM employed a team of tourism experts and financially underwrote the project in order to reopen this historic piece of Goldfields and Western Australian heritage to visitors in early 2013. The Hannans North shaft is 395 metres or 1300 feet deep, and comprises 13 levels, with a single seam of gold bearing quartz. Originally, the old miners found alluvial gold. This prompted them to dig down a couple of feet until they hit the seam of quartz. Initially, it was thought the seam only went down to 36.6 metres (120 feet), and a shaft was installed to this depth. However, as the miners continued to dig, they discovered the seam was deeper than first thought, prompting extension of the shaft to its current depth. After the closure of the Australian Prospectors and Miners Hall of Fame in 2011, Kalgoorlie Consolidated Gold Mines (KCGM) committed to assisting the local community to develop the existing Hannans North Tourist Mine exhibits into a sustainable tourism attraction. The ongoing support of the local and regional community, together with that of visitors is vital to the success of this valuable asset and piece of Western Australian cultural heritage. Contact us here to find out how you can contribute.